Two cans came out of the middle of the twentieth century. The whole cans consist of two pieces, the cans and the cans, so they are called two cans. Two cans of the tank is the metal sheet, with a punch through the stretch molding die, so that by the tensile deformation, so that the bottom of the tank can be connected into one body. ① good sealing Tank can be directly formed by the drawing process, do not leak, can be removed from the leak detection process. ② to ensure product quality. Two cans without welding seal, to avoid the solder tank lead pollution, and high temperature sterilization, can guarantee product hygiene. ③ beautiful and generous. Cans without seams, handsome in appearance, and the cans can be continuously decorated printing, the effect is good. ④ high production efficiency. Two cans only two parts, and the tank manufacturing process is simple, to simplify the process, improve production capacity of great benefit. 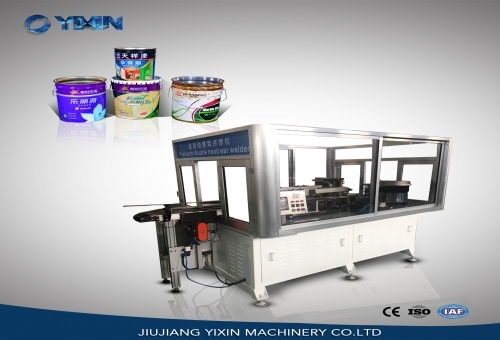 However, the two cans on the material properties, canning technology, canning equipment and other requirements are higher, less filling the type of material. The metal cans currently used for packaging are mainly aluminum two-piece cans. Aluminum two cans with aluminum thin plate as a material in the manufacturing process using a thinning stretch process, so the thickness of the tank wall is thinner than the bottom of the tank. When used in beer packaging, a strong internal pressure will compensate for the rigidity of the tank wall. But the high resistance of metal cans, shading and sealing, will allow the quality of beer in the tank to maintain stability. There is also the presence of these metal features, making the metal cans even with constant pressure filling this time-consuming filling can also be high-speed filling.